Today I will interrupt our regularly scheduled interest-rate commentary to update a very important subject I covered in an earlier post on how fixed-rate mortgage penalties are calculated. This often overlooked detail can, and often does, have a huge impact on your overall borrowing cost and unsurprisingly, the lenders who charge the highest penalties haven’t been going out of their way to warn you about them. As you will see, there is a reason that the small print is small. To put this in perspective, if we assume that mortgage rates remain at today’s levels, we’re talking about a difference in penalties of more than $7,000 on a $250,000 mortgage that starts today and is broken in three years’ time. That makes the cost of the most expensive five-year fixed-rate penalty about five times higher than the cost of the cheapest five-year fixed-rate penalty. And although almost no one plans to break a mortgage early, life is unpredictable and many borrowers with five-year fixed terms do end up breaking their mortgage, so these are real costs that are being borne by a large number of Canadians. 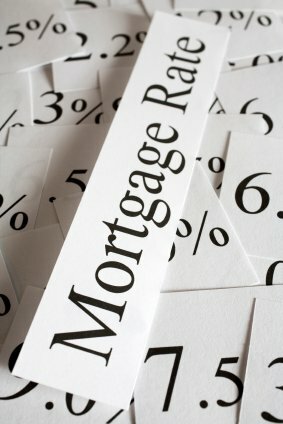 Fixed-rate penalties are of particular importance in the current interest-rate environment because the differences in the methods used to calculate them are actually more pronounced when fixed-mortgage rates stay flat or rise slightly over an extended period – exactly the scenario that many experts are predicting will unfold in the coming years. Now let’s make you an expert on the single most important small-print detail in your fixed-rate mortgage contract. For starters, while it may come as a surprise, almost all Canadian lenders use the same basic wording for their fixed-rate mortgage penalties, which they typically describe as “the greater of three months interest or interest-rate differential (IRD)”. You have a five-year fixed-rate mortgage at a rate of 2.59% with a current balance of $250,000. You are three years into your five-year term (with two years remaining). Interest rates are the same today as they were when you first got your loan. Lenders simply compare this cost to their IRD calculation and charge you the higher of the two amounts. IRD penalties are typically calculated using one of three methods: Standard, Discounted or Posted. The lender takes the difference between these two rates (which works out to 0.30% in this example), and multiplies it by both your mortgage balance and the time remaining on your mortgage (expressed as the number of months remaining on your mortgage divided by twelve). That’s it! If you understand this example, then you have mastered the Standard IRD calculation. This is used by a wide range of well-established lenders who compete with each other to offer borrowers the best mortgage rates available. Now here is where a little knowledge can save you some serious money. Other well-known lenders have tweaked their IRD calculations to skew the interest rates used in their formulas heavily in their favour, and as you will see, that can have a huge impact on the size of your penalty. This is IRD calculation is used by RBC, BMO, TD, Scotia and National Bank (and don’t let the name fool you!). The key difference in the Discounted Rate IRD method is that the lender takes your contract rate and compares it to the posted rate that most closely matches your remaining term MINUS the original discount you got off of their five-year posted rate. To put that in today’s terms, the Big Six Banks’ five-year posted rates currently average 4.64%, so a contract rate of 2.59% comes with an average Big Six discount of 2.05%. In other words, lenders who use this method will take the original discount they gave you off of their five-year posted rate and apply that same discount to the posted two-year rate they use to calculate your penalty. CIBC uses the posted-rate method to calculate its penalties. In this IRD variation, CIBC calculates your penalty by taking the five-year posted rate that they were offering when you got your mortgage and compares it to their current posted rate that most closely matches the time remaining on your term. Now CIBC’s defense of this tactic is that they substitute posted rates for both your original rate and the rate that most closely matches your remaining term. But as we have already outlined above, this is a terrible trade that no informed person would make because Big Six lenders must make huge discounts to their five-year posted rates to make them competitive with market five-year fixed rates, and those same discounts shrink dramatically on shorter fixed-rate terms. Surprised? Don’t be. These inflated mortgage penalties generate substantial profits for the lenders who use them and when uninformed borrowers choose to negotiate directly with a Big Six lender, is it so hard to imagine that these lenders would use their small print to maximize their potential profitability? To be clear, I don’t have a problem with mortgage penalties in principle. When you break a mortgage contract, your lender incurs costs when they unwind agreements related to your loan (these agreements can relate to hedging, servicing, securitization etc.). The penalty charged is supposed to cover these costs while also recouping part of the lender’s lost profit, and fair enough – that’s why they’re called “closed mortgages”. But is it fair for some lenders to use these early terminations as “gotcha” moments? The vast majority of Canadian mortgage borrowers do not have any idea that there are significant differences in the way fixed-rate mortgage penalties are calculated, and the largest Canadian lenders, who have milked that lack of awareness to their advantage for years, have been in no hurry to explain it to them. While our federal government has repeatedly acknowledged the public’s pain and frustration over these unfair practices (which can easily be referenced with a Google search for “Canadian mortgage penalties”), it has been frustratingly slow in forcing lenders to provide more transparent disclosure. In the meantime, it is my hope that this post will help better inform Canadian consumers about the important differences in the way lenders calculate their fixed-rate mortgage penalties.